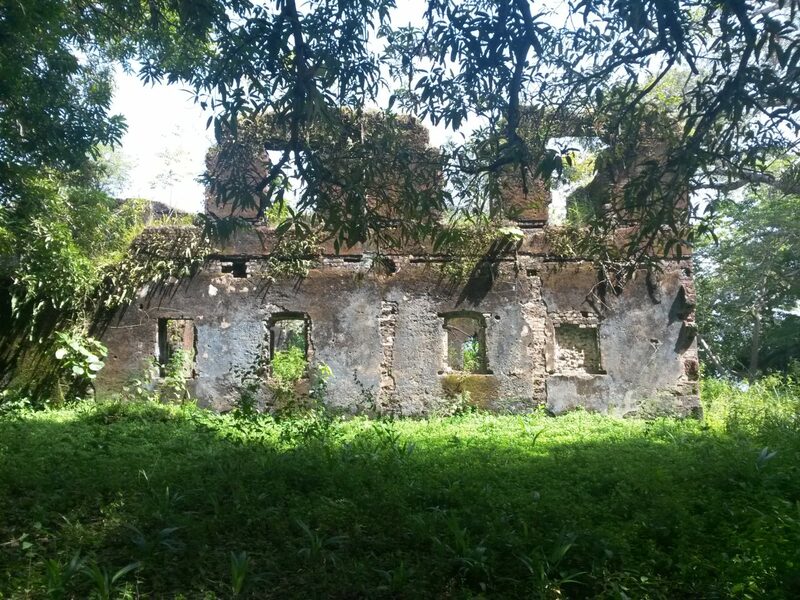 A Scottish baronet has been called upon to help preserve his ancestor’s castle in Sierra Leone as a monument to the brutality of 18th century slave trade. Sir Patrick Grant is the descendant of Alexander Grant who ran the Bunce Island slave castle which featured in a BBC documentary on 6 November. Tens of thousands of slaves from the castle were cruelly transported from Africa to the Americas. Melbourne Garber is a structural engineer who has been working to preserve Bunce Island for the last ten years. He is a member of Sierra Leone’s Krios community, who returned from the Americas after slavery was abolished. Esther Stanford-Xosei, co-vice chair of the Pan-Afrikan Reparations Coalition in Europe (PARCOE), argued that descendants of slave traders should help Africans today. The ideology of “chattel enslavement” still persists, she said. “The worst of all the enduring injustices created as a result of chattel enslavement is to leave people with the mindset that Africans are inferior and subhuman. This belief system and resultant actions is prevalent in society and has been internalised by many people of African heritage and ancestry,” she told The Ferret. According to the Oxford Dictionary of National Biography, Alexander Grant was born in 1705 as the son of a Scottish barber and farmer. After moving to Jamaica as a young doctor, he became a planter. Many Scots worked in Jamaica in the 18th century to profit from sugar grown by slave labour. After a spell in London selling slave-grown Caribbean sugar, he joined with Richard Oswald and others to establish a slave factory at Bunce Island castle. He once described the castle as “a territory where my dominion is most absolute”. On Bunce Island, captured Africans were held before being transported in horrific conditions to places like Georgia and South Carolina where they were forced to work on rice plantations. Having become rich and powerful from slavery, Grant was able to reclaim a baronetcy which had been granted to an ancestor four generations before but had fallen dormant. The baronetcy was called Grangehill but he renamed it Dalvey, and Grants of Dalvey is the name of the Grant family’s business today. Alexander Grant died in 1772, with a wealth was estimated at £13 million in today’s money, but slave ownership was to stay in the family for several more generations. By the time the UK government ordered slaves be freed in 1833, Alexander Grant’s great-nephew Alexander Cray Grant owned 600 slaves. He was awarded compensation worth £1.29m in today’s money for the loss of these slaves, which he complained in parliament was not enough. His former slaves received nothing. The family’s slave business ended completely in 1848, when a slave rebellion on the Danish colony of St Croix (present-day US Virgin Islands) pressured the Danish government into emancipation. The present-day inheritor of the Grant family title is 65-year-old Sir Patrick Grant, the owner of a luxury Scottish menswear company called Grants of Dalvey and a 15,000 acre Knoydart deer estate called Glendessary. The government of Sierra Leone is trying to protect Bunce Island from coastal erosion and rising sea levels, while developing the site’s visitor infrastructure to facilitate tourism. The project has received funding from the World Monuments Fund and the US Embassy as Bunce Island is considered an important site for US history. Photo of Bunce Island castle today thanks to Pierre Chrzanowski, CC0, from Wikimedia Commons. Picture of Bunce Island from an original watercolor by Joseph Corry, 1805, via Wikimedia Commons.